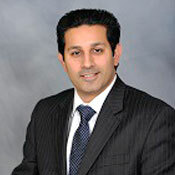 Sumeet Sondhi is counsel to the The Blanch Law Firm. Mr. Sondhi has worked in conjunction with Ryan Blanch on a myriad of matters, ranging from government investigations to white collar and antitrust crimes, his specialties being real estate fraud and complex mortgage fraud matters. In addition to representing clients with respect to investigations and criminal matters as ‘Of Counsel” to The Blanch Law Firm, Mr. Sondhi provides comprehensive legal and advisory services to a diverse range of corporate and individual clientele with respect to business transactions, including the acquisition and sale of commercial real estate.